Cash accounts for an average of 5.1% of global portfolios, up from 4.5% in July, according to the BofA Merrill Lynch Fund Manager Survey. Sixty-five percent of the fund managers surveyed expect a rate hike before the end of the first half of 2015. Cash accounts for an average of 5.1% of global portfolios, up from 4.5% in July, according to the BofA Merrill Lynch Fund Manager Survey for August. 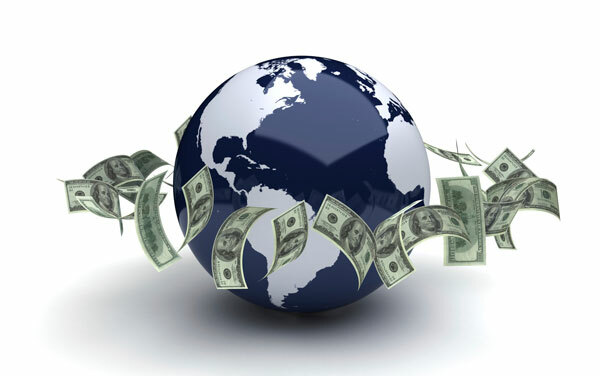 The survey, released Tuesday, found that fear of a geopolitical crisis combined with the threat of rising U.S. interest rates had prompted global investors to take cash to its highest level since June 2012. A net 27% of survey respondents were overweight cash in August, up from a net 12% in July. The proportion of asset allocators overweight equities tumbled by 17 percentage points in one month, to a net 44% in August, according to the survey. The number of respondents hedging against a sharp fall in equity markets in the next three months has reached its highest level since October 2008. A total of 224 panelists with $675 billion of assets under management participated in the BofA Merrill Lynch survey from Aug. 1 to Aug. 7. Global growth predictions have fallen since July, but remain firm, the survey found. A net 56% of participants expected the economy to strengthen in the year ahead, down from a net 69% in the previous month. Forty-five percent of respondents said fear of a geopolitical crisis was the biggest cause of risk reduction, up from 28% a month ago. But a new survey question indicated that a rate hike was also making investors nervous, as 65% of the panel expected a U.S. rate rise before the end of the first half of 2015. “The market melt-up is over, or at least on pause, as investors seek refuge while they digest world events and the prospect of higher rates,” Michael Hartnett, chief investment strategist at BofA Merrill Lynch Research, said in a statement. Sentiment toward Europe, the world’s market darling for much of 2014, has fallen significantly. A net 13% of asset allocators are overweight eurozone equities, a 22 percentage-point drop in one month. U.S. equities also lost ground, but only a four percentage point drop to a net 6%. A net 30% of global investors believed that the 12-month profit outlook was worse in Europe than in any other region. That reading fell 24 percentage points since July — a record one-month swing, BofA Merrill Lynch noted. Europe has become more of a region to underweight than overweight. A net 4% of investors surveyed wanted to underweight Europe more than any other region. In July, a net 10% wanted to overweight Europe. The survey also highlighted growing pressure on the euro. Global emerging markets, and to a lesser extent Japan, have bucked the wider global trend of pessimism. A net 30% of asset allocators are now overweight Japanese equities, up from a net 26% in July, making Japanese equities the most popular of the five regions in the survey. Emerging markets shown the greatest momentum, with the proportion of asset allocators overweight the region rising to a net 17% from a net 5% in July. Stronger belief in China and in commodities was behind the improvement, the survey found. A net 6% of regional fund managers expected the Chinese economy to improve in the coming 12 months. Just two months ago, a net 42% forecast China’s economy to weaken. Fewer global asset allocators were underweight commodities in August — a net 5% compared with a net 15% in July. Looking ahead, a net 21% of investors said they most wanted to overweight global emerging markets in the next 12 months, up from a net 4% in July. In August, the proportion of respondents favoring value over growth investing reached a record level of a net 48%, according to the survey. Although value investing is typically in favor during “risk off” phases, the August high exceeded even previous highs in 2009 in the aftermath of the financial crisis. A net 59% of allocators believed that large caps would outperform small caps, the highest reading in two years, Merrill said. Check out David Kelly Debunks Market ‘Misperceptions’ on ThinkAdvisor.